Beringharjo Market situated at the heart of Yogyakarta,Indoneisa. The markets corridor, staircase, pavement are occupied with sellers selling all kind of goods. 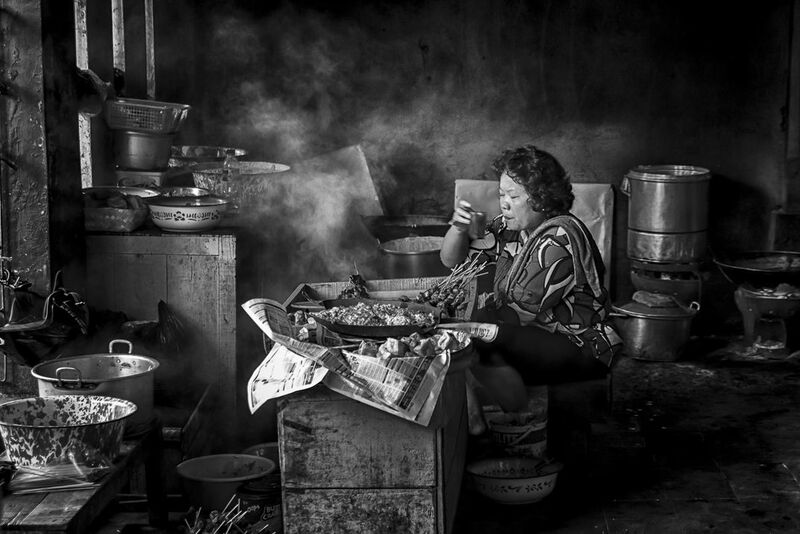 A woman take a rest while cooking at Beringharjo Market.